KAMPALA – The pending court awards from Government have further increased with the audit report indicating that these liabilities have now hit the sh655bn mark as at 2018. The details of the increment were made public today when the team from the Auditor General’s office handed over the audit report to Parliament whose findings await scrutiny from Parliament’s accountability committees when Parliament resumes business next week. According to the Audit findings, Government was also faulted for failing to collect sh20.6Bn as at 30th June 2018, from cases the Attorney General has won on court from individuals and companies across the country. “Government accumulated liabilities amounting to Shs655Bn in respect of unsettled court awards. As a result of non-payment of these liabilities, some cases had accumulated interest amounting to Shs124Bn for close to 10years,” the report highlighted. 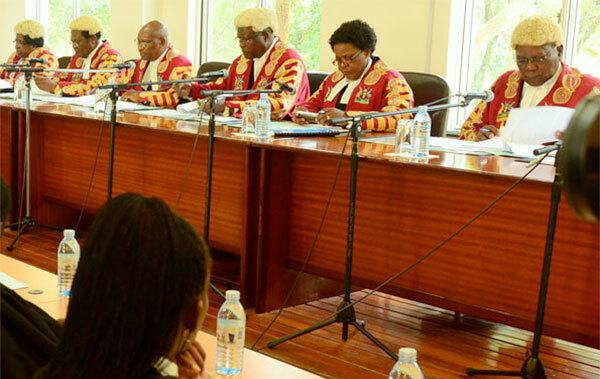 The report also stated that a sum of Shs15.8Bn was accrued from three government agency accounts resulting from Court judgment to creditors, with the report stating that this is likely to suspend the rights to withdraw funds from the affected accounts, thus delaying government projects.